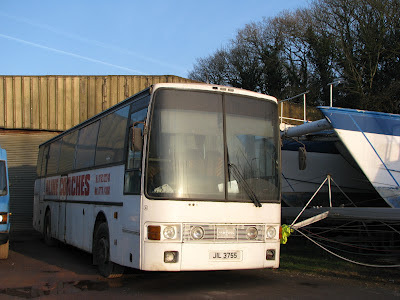 The selection of watercraft used over the years has been a lot more stable than that of the bus scene over the past 7 years, although that is most certainly not to say that standards haven't been improved. 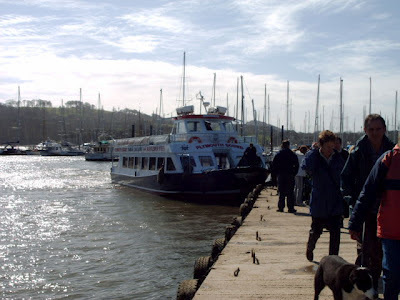 We shall start this looking first towards the boats that have covered the service due to breakdowns over the past 7 years, which have remarkably been very few and far between in retrospect. Firstly, the Plymouth Sound. 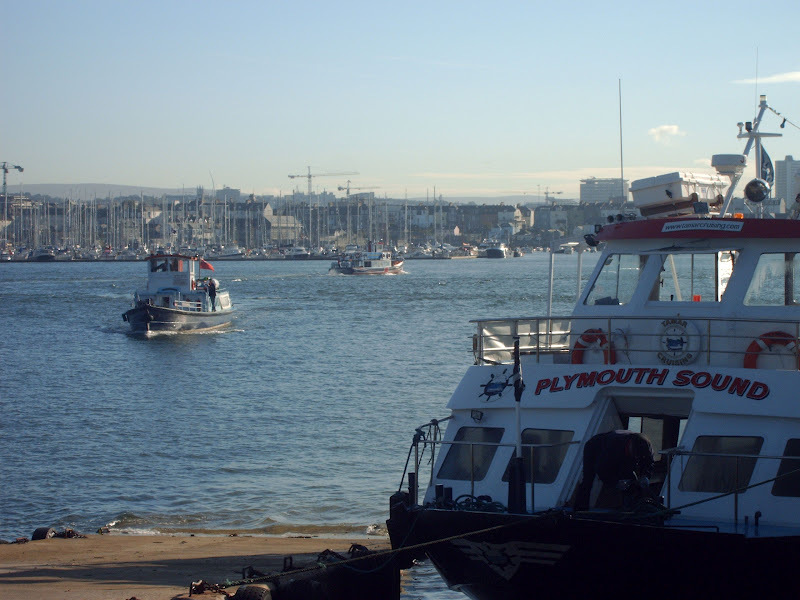 This fine vessel has only very recently left the fleet after many loyal years of services, outliving its younger sister, the Plymouth Sound 2. 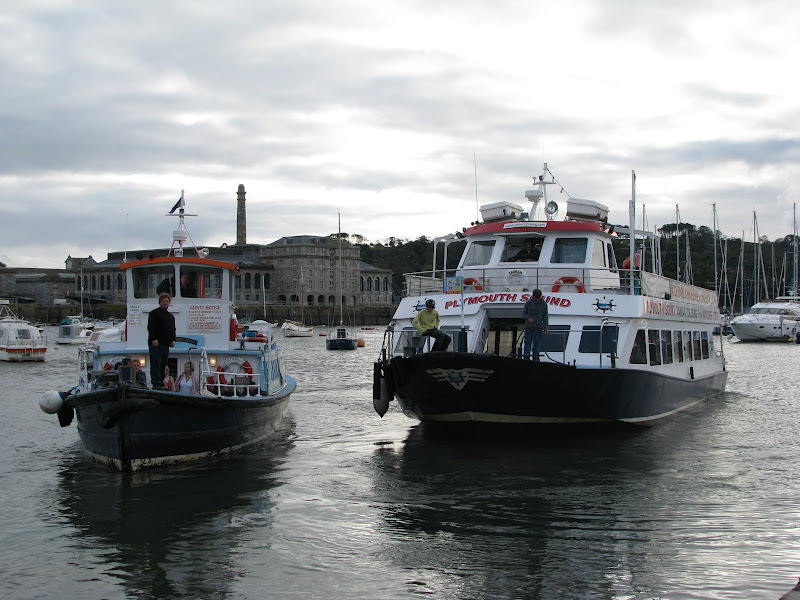 Quite obviously Plymouth Sound is much bigger than the standard ferry used on the service, the Northern Belle, and hence at high tide, cannot moor at the usual Plymouth terminus at Admirals Hard, and therefore docks instead in the Royal William Yard. A pleasurable boat to ride on for a change, but surprisingly, not as comfortable as the Northern Belle, and of course, less convenient. The boat more commonly used as the stand in vessel in times of need was the Silver Crest. 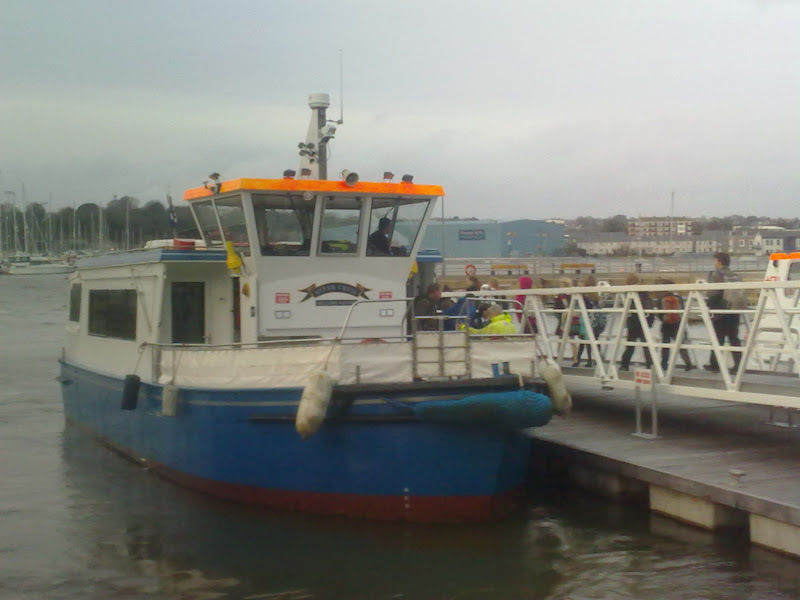 A much smaller boat, this was more suited to the task when she was required. Again nice to have for a change, but not a boat you'd want to have on the service all the time, due to smaller capacity. 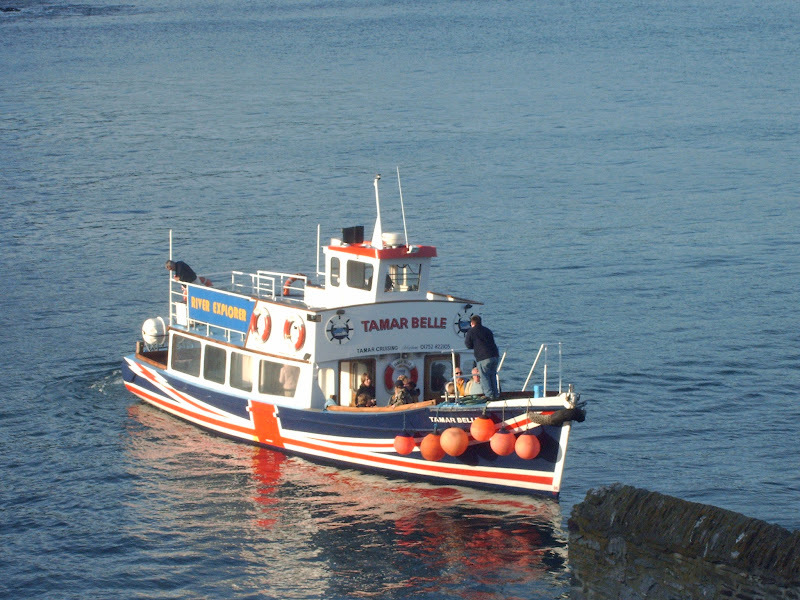 The infamous Tamar Belle gets used each winter when the Northern Belle is sent away for her annual refit, and therefore I've got to know this boat very well. Yes it was all too easy to get excited with its open top deck and Union Jack decals, but very soon the novelty wears off, and you realise that the seats are shockingly uncomfortable, and that the open stern allows the freezing cold winter air into the cabin, and soon its not so much fun. Couple this with the racket that ensued when she was re-engined with a Ford power unit in 2007, and the story gets even worse. Thankfully though, what Tamar Belle made you realise was what a wonderful boat the grand old lady of 86 years of age, the Northern Belle, really is. 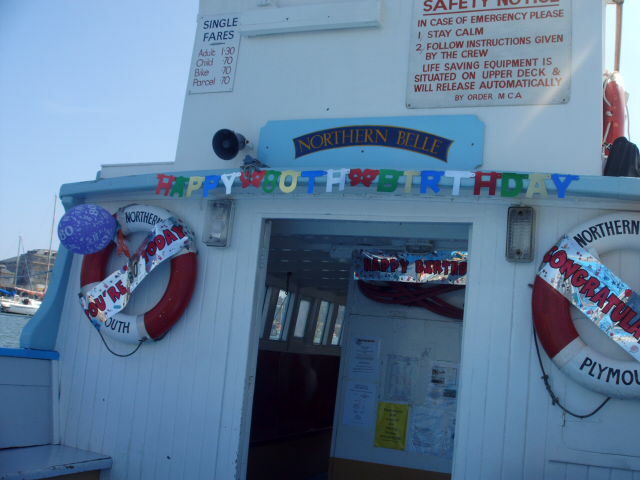 The elation that sweeps over every regular traveler when the Northern Belle returns from her annual refit is simply brilliant. There is no better boat for the job, and quite possibly never will be thanks to new regulations in boat building. 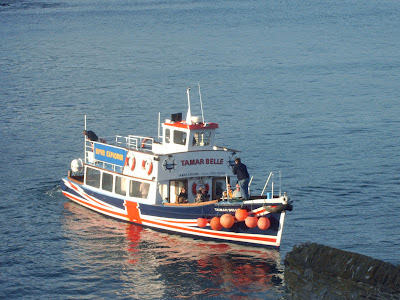 The Northern Belle, sitting low in the water, was far more stable than the Tamar Belle, and hence was able to battle through harsh weather far more capably, meaning the service could run more consistently and definitely. The seating, when I started was 3 piece wooden benches, then 1 piece wooden benches, and now we have the luxury of leather seating. Even better, after the 2010 re-fit, the final blemish of the Northern was overcome, she was fitted with a rear door, and HEATING! 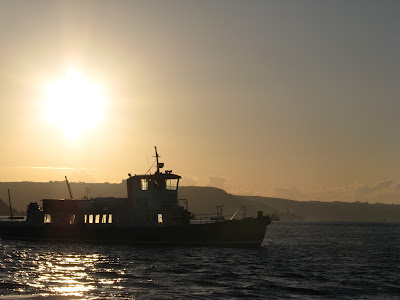 Quite frankly, in harsher months it was colder on the Northern Belle than it was outside, thanks to it of course radiating the cold through the hull from the Tamar, but now with heat bellowing through, what more could you want! Lets not forget of course her beating heart, one of the best engines ever created, the Gardner 6LXB. 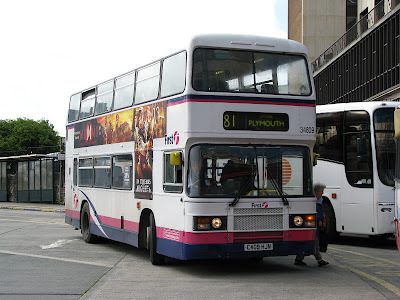 During the FDC era, my whole journey to school was 6LXB powered, with of course the VRs and Leyland Olympians being powered with a Gardner 6LXB, and then stepping onto the Northern, powered in the same way, you always knew it would get you there - economically to! 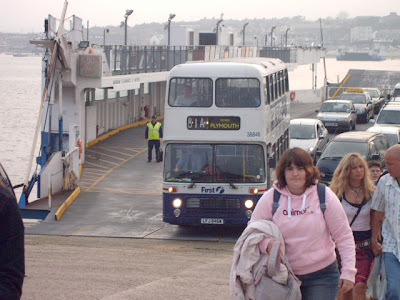 The look of amazement when you were able to tell people that you traveled to school on a ferry was really quite exciting. Even today, people are still shocked that I commute across water, to reach school in another county, and although the novelty of commuting in such an unusual fashion does unfortunately, eventually, wear thin, the reaction of others most certainly does not. Undoubtedly this will be a case of you don't realise what you've got until its gone. I've had some brilliant times on the Northern Belle, and the Tamar Belle for that matter. Being able to float, gently across a beautiful river, in the shadow of the Royal William Yard, looking out to Drake's Island and into Plymouth Sound will unquestionably be missed, how could you possibly ask for a more pleasurable everyday journey. 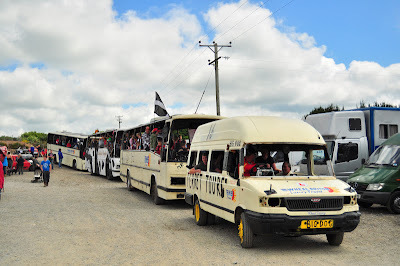 So, my days as a pupil of Devonport High School for Boys have finally come to and end, so I thought Id post a quick look back at all the vehicles that have transported me each morning and afternoon from Cawsand to Cremyll. 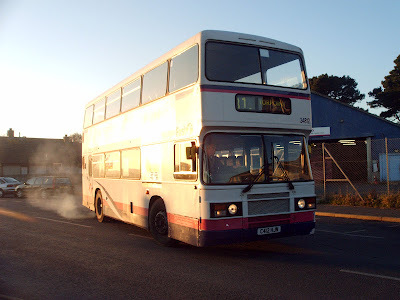 Back when I started in 2005 the Tridents had only been in service for a few months, but thankfully, the vehicles I got each morning were none other than Torpoint's stalwart Bristol VRs, living out their final months. 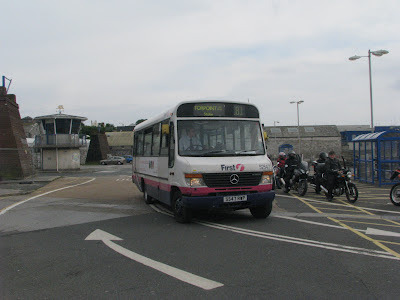 At the time I joined there were just three left, so to kick off, this is LFJ 844W taking part in the Plymouth Hoe Rally, as annoyingly, I never actually took any photos of her with my camera! 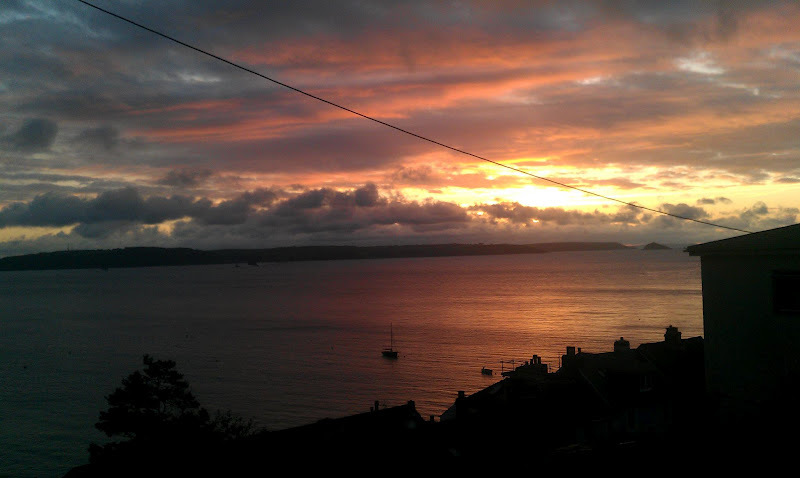 The only photos I have are on my very first mobile phone, which unfortunately, I've never been able to retrieve the photos from. 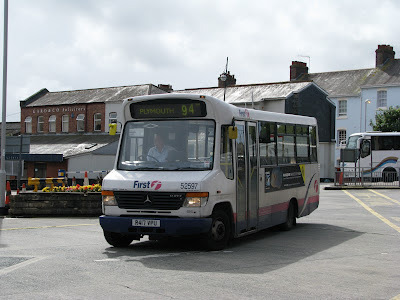 LFJ844W was the final VR to be used at Torpoint in the summer of 2006, and hence was the last VR trip I had down to Cremyll, during which time the C-HJN Leyland Olympians were being introduced into service. 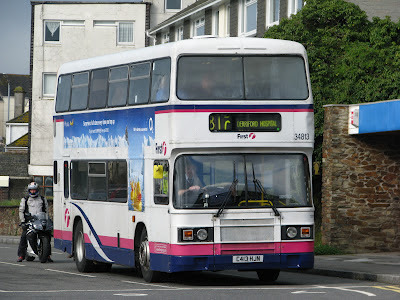 Next came LFJ 846W, the only one which I did manage to photograph 'properly' while still in service. 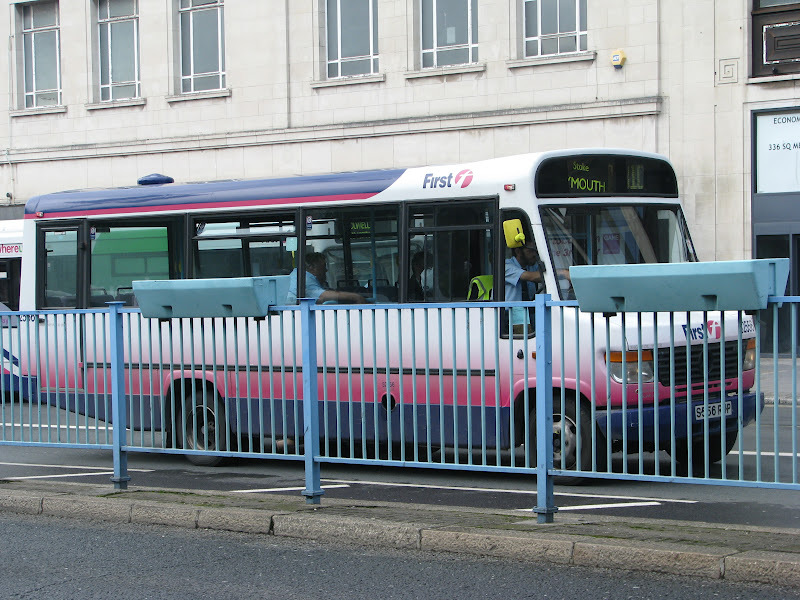 You'll note by this point 846 had gained the grille from LFJ 842W, which was never painted to match the rest of the vehicle. 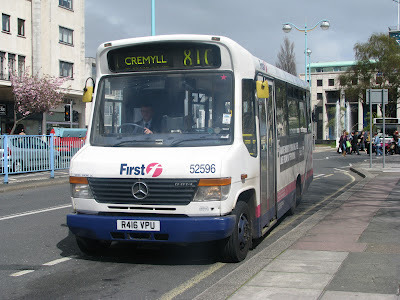 LFJ 846W was the only VR I was ever rewarded with for an afternoon journey from Cremyll, usually in the hands of Mercedes Varios. LFJ 846W was always driver Mike Hicks' weapon of choice when he was on that duty, and the look of glee you always had at 16:30, when you heard the VR bellowing down was brilliant, as you knew one of the best drivers Torpoint had was at the wheel, and you'd have a gorgeous ride around Anderton on a stunning bus. The first vehicle that came in to replace the VRs was actually newer than what would end up replacing them full time. 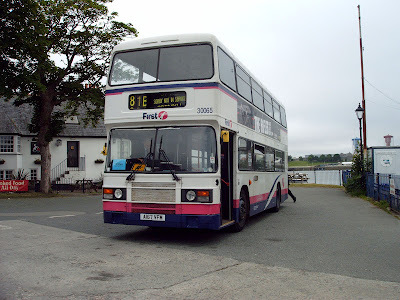 This was Volvo Olympian K802 ORL, which naturally, I despised from the off seeing as it had replaced my beloved VRs! The anger that spread over me when that THING came round the corner at 07:42 was never a good start to the day. 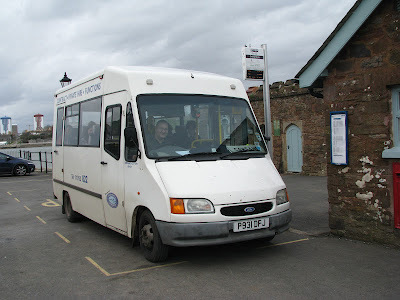 Looking back, the gearbox and back axle on K802 was quite tuneful and interesting, unlike the other 3 K-ORLs, and the coach seats were certainly welcome, but of course, K802 was no match for the VRs really. 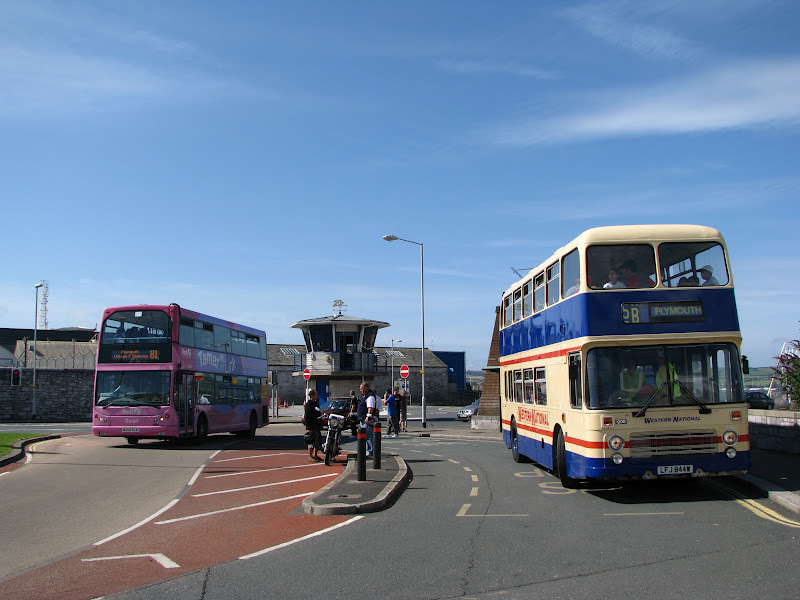 Next came the Leyland Olympian era, initially starting off with three, along with K802 ORL (obviously, these weren't as reliable as the VRs! ;-)) Again, I hated these when they first arrived. Where the heck are my whaling VRs, although they were boneshaking in comparison. 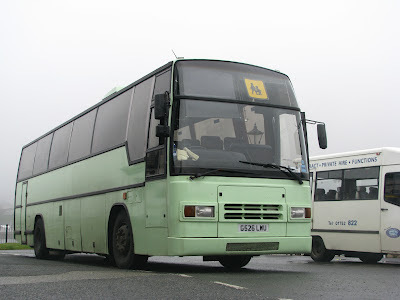 Of course over the years I became to adore the C-HJNs, although C409 HJN was the worst of the lot unfortunately. The DP seating was very welcome though, and as mentioned, the air suspension was heaven when compared to the hard springs of the VR. The semi auto gearbox was also of course far superior when comparing them to K802 ORL. C412 HJN was always my favorite of the quartet. Not very much to add from C409's description, but she always seemed to sound the nicest, and always felt faster than the others. C413 HJN arguably actually had the nicer sounding engine of the 4, but it was definitely the slowest. I'm pretty sure C413 must have had a lower speed axle fitted at some point, as it never had the turn of speed that the other three had. 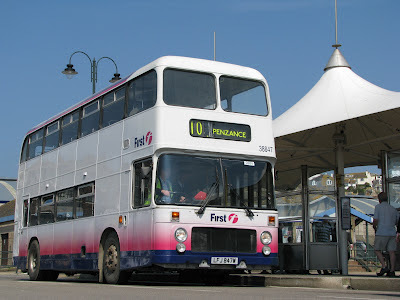 Still, a lovely bus though, this being the final Leyland to be used at Torpoint, and the final bus in Torpoint and Plymouth to be powered by a Gardner after many decades of loyal service to the area. 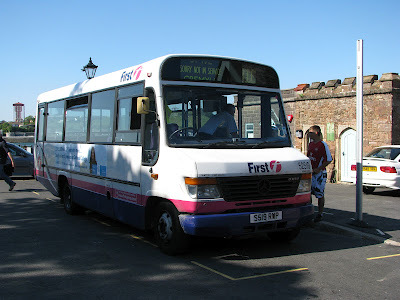 Next came not a C-HJN, but a bit of a gap filler, this being A167 VFM. This DOG (Decker Olympian Gardner - for anyone confused by the expression) was more of a reminder of the VR era, with standard autumn gold bus seating, and what seemed like less sound proofing around the engine compartment. 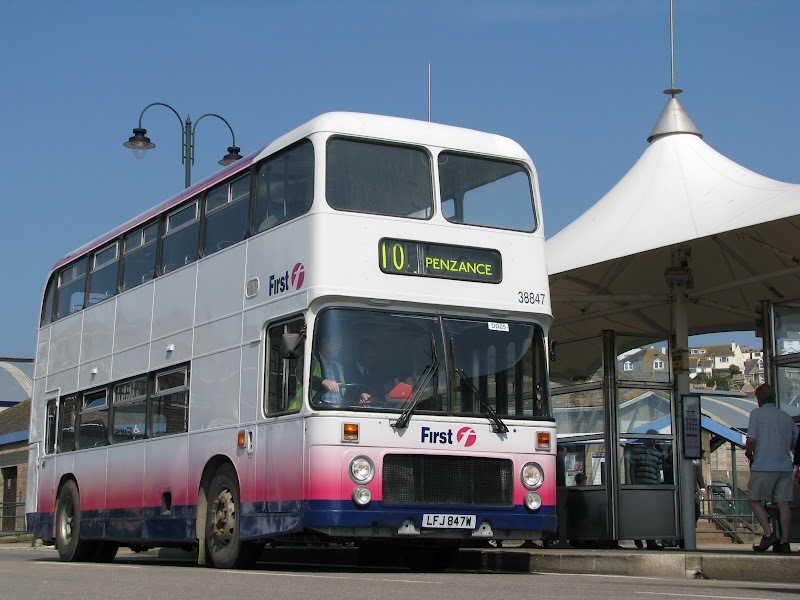 Not the drivers favorite though, and hence lived a relatively short life, only months long before it was replaced by the forth C-HJN. Unlike the other 3 C-HJNs, C417 HJN came from Bristol, and not from its original home in Essex. 417 therefore seemed to have been somewhat pampered, with a much smarter coat of paint, a digital blind, and newer moquette than the other 3. 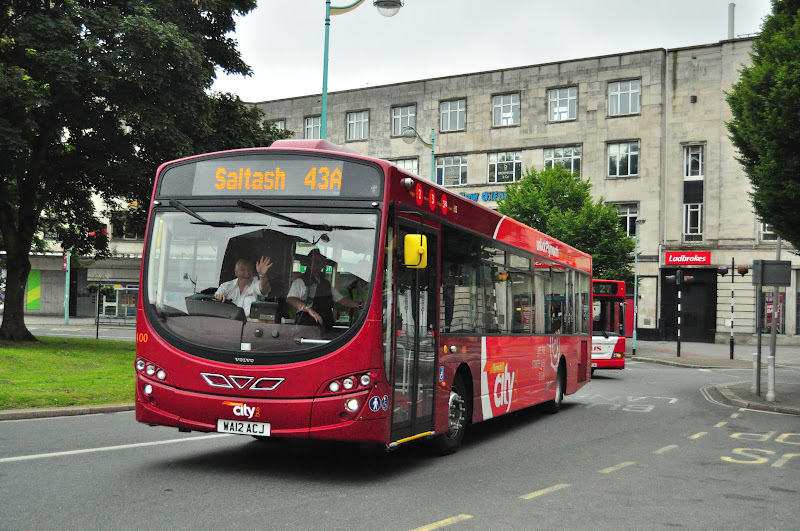 C417 was also a bit of a celebrity after appearing in the television show 'Skins' multiple times while at work in Bristol in which she was generally used on private hire work during her time based there. 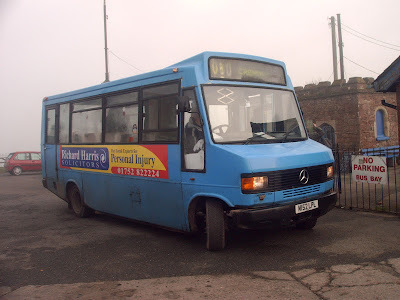 Pretty much every afternoon, unless Mike was driving, we used to have to put up with a Mercedes Vario. The S-RWPs were most common, even though only one of them was actually based in Torpoint and painted into Tamar Link livery, this being S529 RWP. Good buses for the route I suppose, the size was appropriate, but nothing very special. The other 2 permanent Varios were from the S-GUB batch, with S407 GUB as pictured here. And S412 GUB, pictured here. S412 was my personal favorite, but at the end of the day, it was still a Vario. No exciting tails with these! Here we come on to the various Vario visitors we had over the years, which covered for the other Varios being out of service, which they often were being Varios! Here, we have S519 RWP. 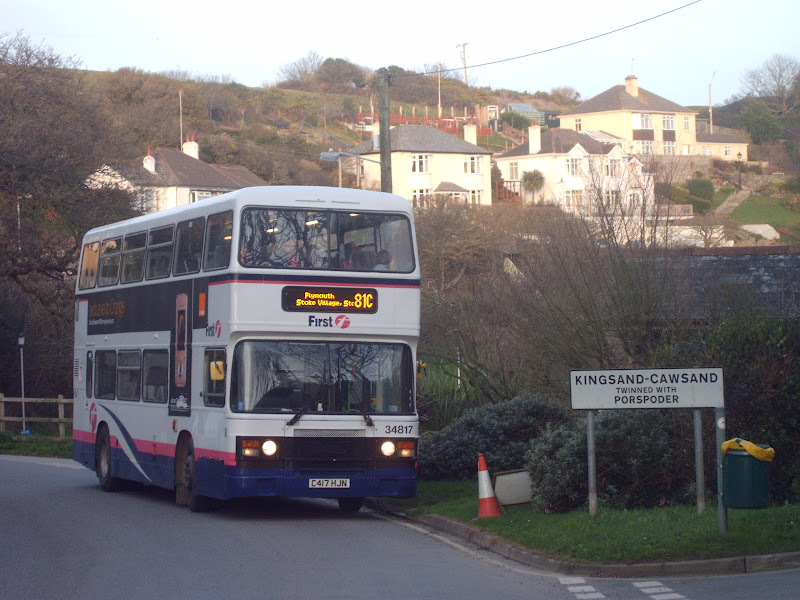 S526 RWP made an occasional appearance, although was transferred to Cornwall quite early on. S534 RWP was my 'favorite' of all the FDC Varios that we had, and indeed did spend quite a lot of time at Torpoint. 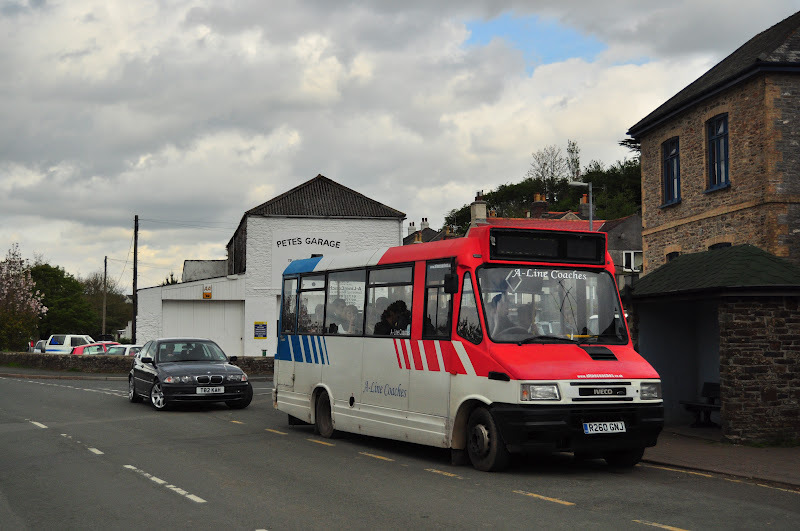 S534 RWP also holds the title of being the final First bus ever to operate via Anderton in public service, although the school service did continue to operate via Anderton for several years. The only Vario I can recall still being in Barbie fades when we had her was S556 RWP, awful photo I know, but its the only one I have! 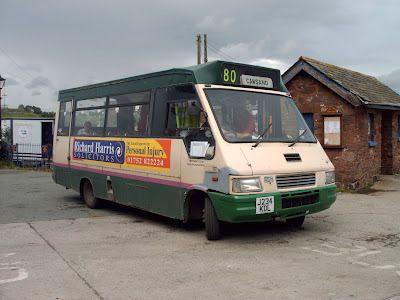 Then we come on to the Marshall bodied Varios, which we did get occationally over the years, and always seemed a bit faster than the Plaxton bodied Varios, most likely because these had been looked after quite well during their years in London. 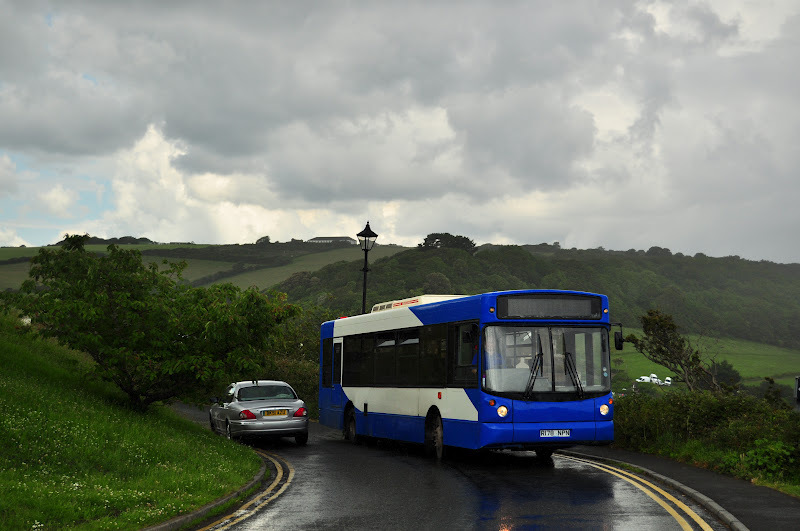 R416 VPU is pictured here. 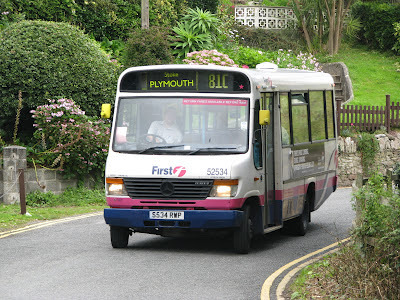 R417 VPU pictured here, one I can only recall having once on the run home. 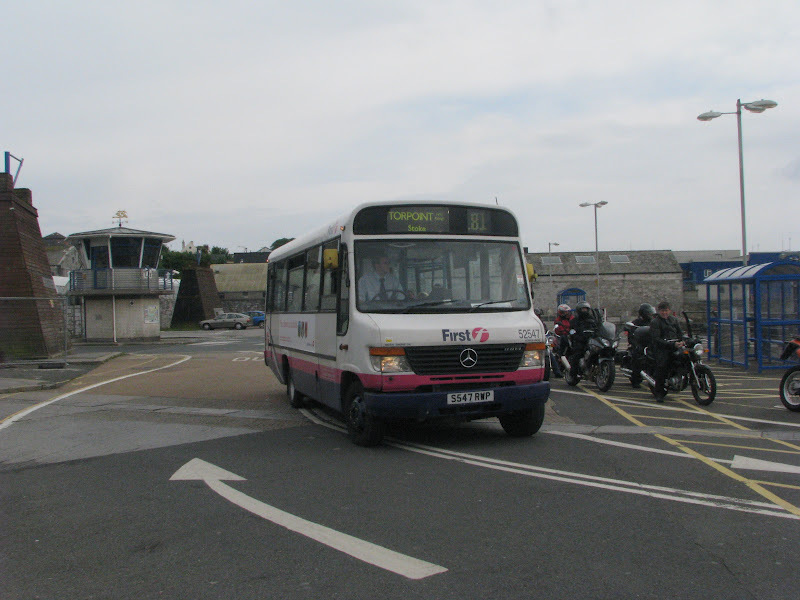 And R418 VPU, the most regular of the three to visit Torpoint. On the very rare occasion, I can only remeber this happening once, we had Dennis Dart S764 RNE. 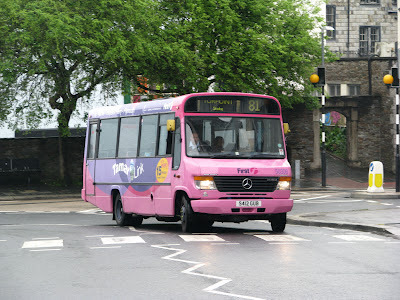 Never a bus I liked, but looking back, I think that would have been far nicer to have each day than the assortment of Varios. So, that brings the First era to a close. 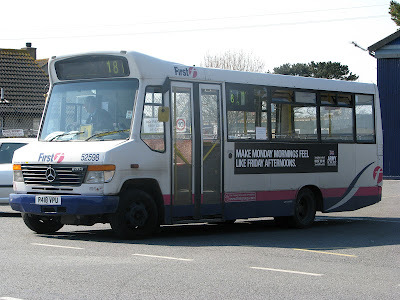 When the 81C timetables changed towards the later end of 2007 I think it was, neither of the journeys I used to use were appropriately catered for, the morning journey leaving stupidly early, and the evening journey leaving before the Cremyll Ferry would have even docked! 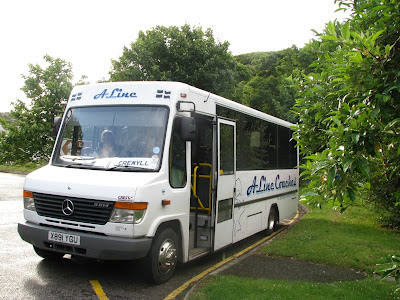 So, this is where our journey begins with A-Line Coaches, who of course now have Cremyll all to themselves; excluding Sundays. How times change! The bus that took over at first was Iveco 49.10 J234 KDL, as by this time, J238 KDL had been withdrawn from service. By no means the nicest vehicle I've had on the commute over the years, although, it was packed full of character! 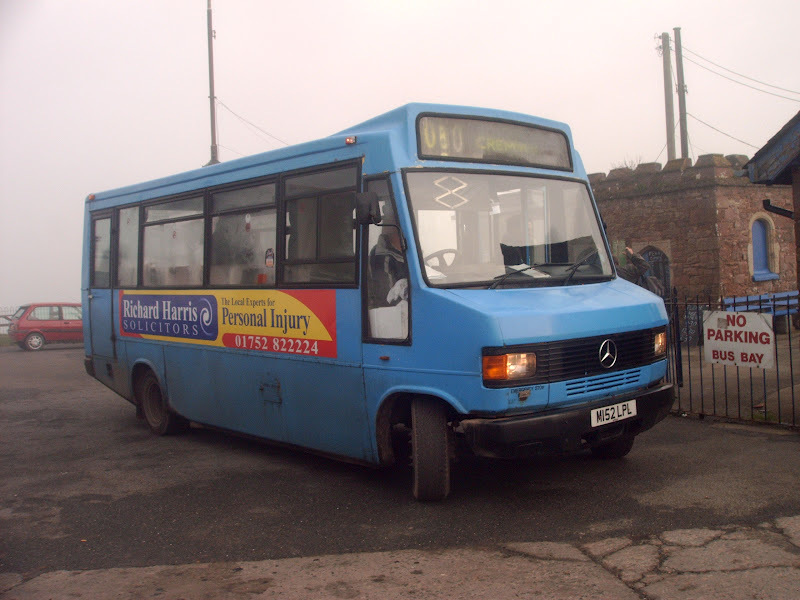 Soon after, the Iveco was replaced with this charming little Mercedes 709D, M152 LPL, comparative luxury! Really was a great little bus this, generally it was pretty reliable, well looked after and very tidy. Sounded nice to! M152 has only very recently been scrapped, in which you've probably read in a previous post on the blog. And so after a year away from Varios, they unfortunately returned to the scene in 2008. R651 YCR has by far been the bus I've had to endure most over the last 7 years. An ugly UVG body didn't help its cause, coupled with it being pretty unreliable. 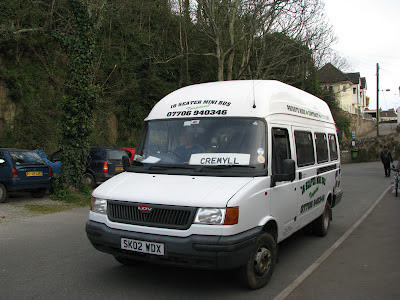 The coach seating was welcome though, and the 1st gearbox was very nice and tuneful, but since then I think we're on the 7th, possibly 8th gearbox since she was first bought 4 years ago. 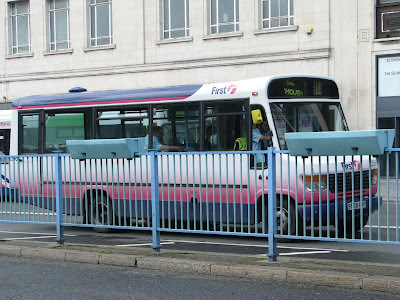 X891 YGU is without doubt the most luxurious, as well as modern bus I have had over the last 7 years. The Crest bodywork is far better looking, and X891 has been a lot more reliable than R651 over the last 4 years, although, it gets used less on the 80 purely because of the annoying coach style door, increasing dwell time a surprising amount! 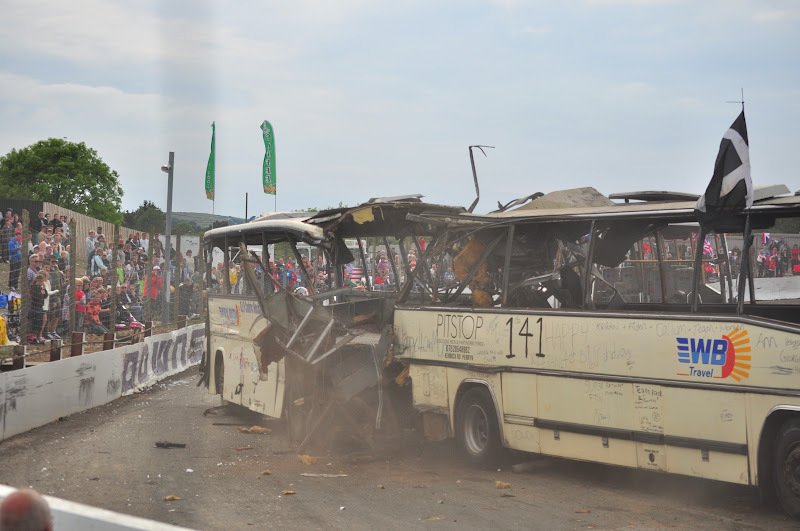 Ivecos returned in 2010, as well as the use of Marshall bodywork with R260 GNJ. A nice little bus, better than the J-KDLs in that these R260 has coach seating. Only been used a handful of times over the 2 year period its been at A-Line, usually relegated to school work. The most modern of the buses in design terms has been the most recent addition to A-Line's fleet, R178 NPN. 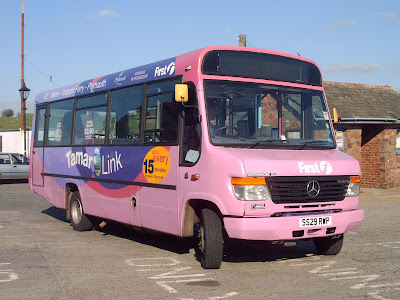 This is actually a really nice bus, most definitely the best since I stopped getting C-HJNs 5 years ago. 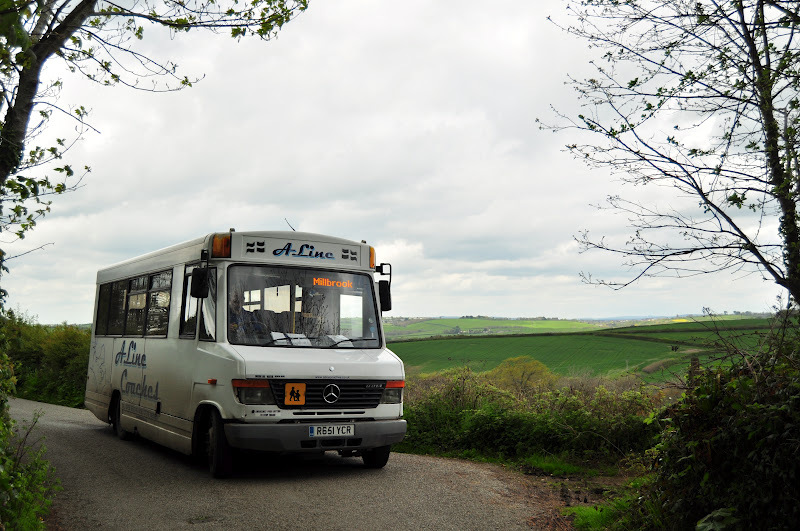 Very comfortable DP seating, and a great sounding engine and gearbox equated in a very pleasurable experience. 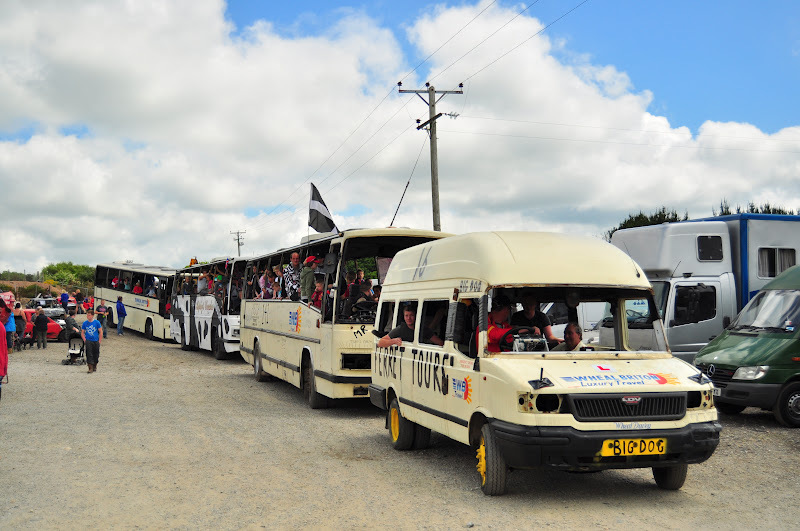 So here we come onto the various stand in vehicles that have been used in desperate times due to vehicle failures, to ensure to maintain the service. The first of these was LDV Convoy T273 ABF, a stand in for M152 LPL during a point at which there was no spare bus. 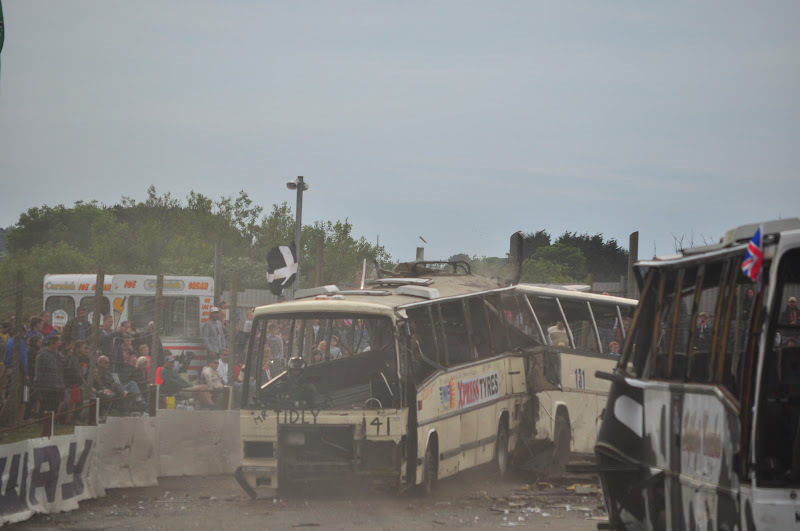 When both Varios went bang on the same day another LDV was brought in, this being SK02 WDX of Torpoint Minibuses. 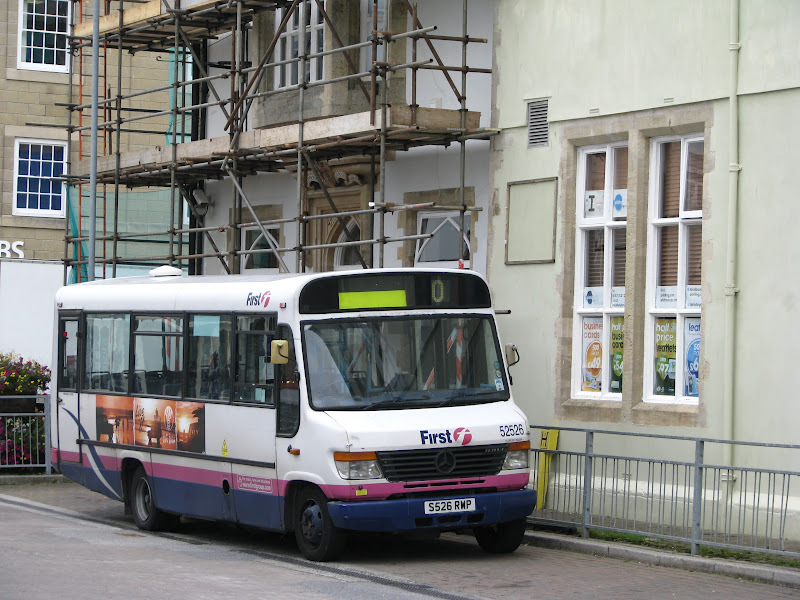 Coaches have also been used occasionally as stand in vehicles, or when capacity has been reached, including Volvo B10M E920 EAY pictured here. The coach most commonly used for this job was Scania K112 JIL 3755, D359 OBA. 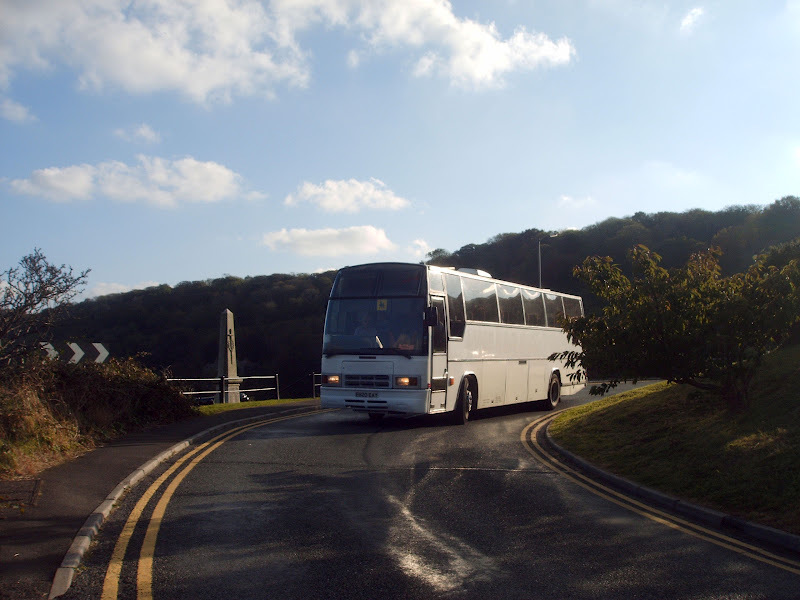 This was due to it being the spare coach, as the regular school driver preferred E920 EAY. 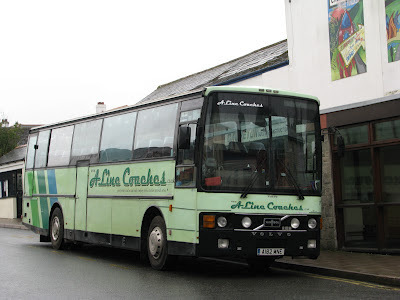 A really lovely solid coach this one as you will remember me saying previously, was always a joy to have this rather than the Mercedes! B10M G526 LWU was used as an overflow vehicle during the time Transit P931 DFJ was used on 80s, due to a very tight route diversion. 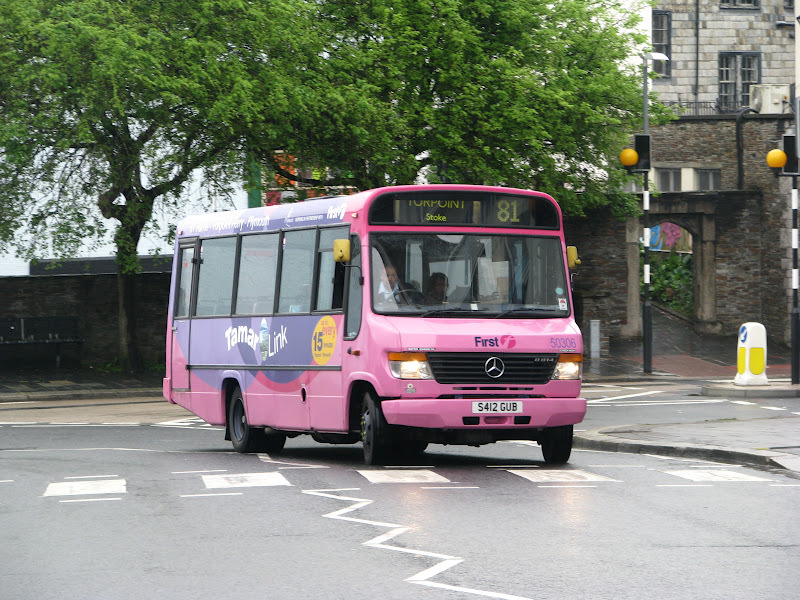 Again, A182 MNE has been used for the same job while the Transit has been in action. 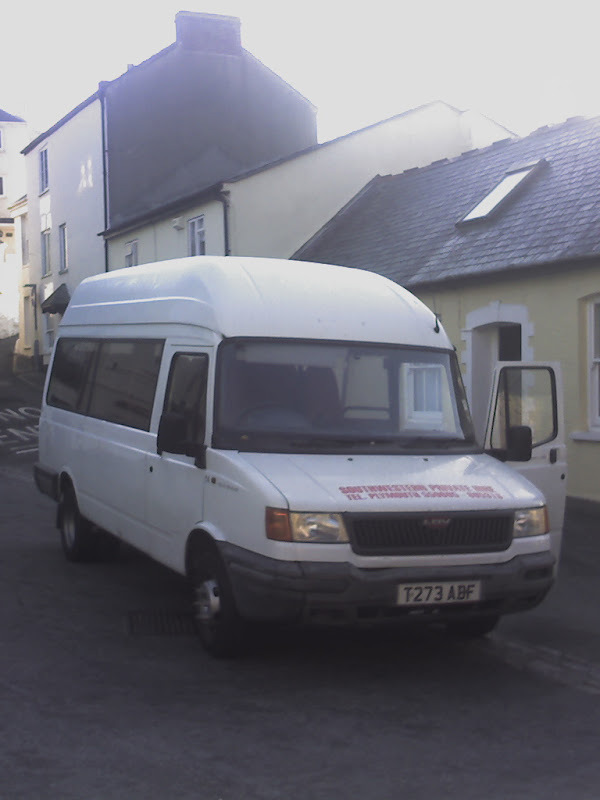 And finally, here we have Ford Transit, P931 DFJ. A useful little vehicle, but not the best! And so, there you have it. 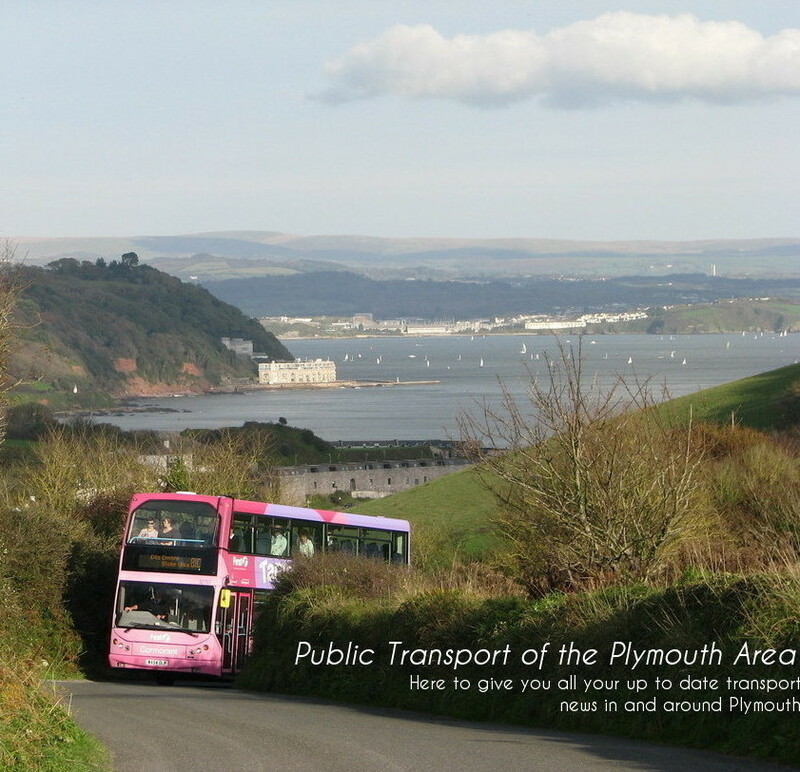 All 34 buses that have transferred me between Cawsand and Cremyll over the past 7 years. Amazing to look back and see how much has changed! I hope its been of some interest to you, its certainly been enjoyable for me looking back over the 1000s of trips I've done since 2005! Attitudes of drivers often crop up in a negative light these days, whether it be through hand gestures or abusive comments, right through to involvement with police or expulsion from bus stations. I particularly noticed this hostile change in attitude while spotting 'up north' , in particular in Newcastle Under Lyme in which myself and a friend were indeed confronted by bus station staff who demanded that we left the site and didn't continue to photograph their buses. I most certainly wasn't going to fight my corner, being in such a tentative position, many miles from home, but it was very frustrating, and does indeed put quite a downer on the whole day after you are treated as such. After sending an e-mail to the local First subsidiary, they did give a very helpful and genuine response to my concerns, and did show a real interest in trying to rectify the situation, both through addressing it with the depot manager, and also promising to include more of an emphasis within their customer care programme which was really positive; great to see a company really trying to make a difference for us. 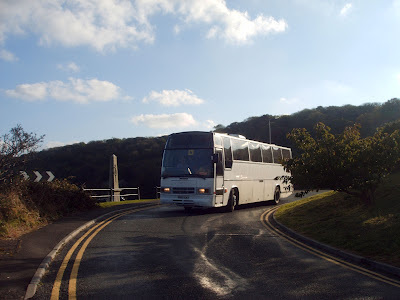 It did also make me appreciate how good the driver attitudes generally are in the South West; really we enjoy quite a safe haven in terms of attitudes both from companies and drivers. This was indeed reflected within Plymouth and the photo I have posted above, while I undertook my first 'proper' spotting session since some point in April, now that exams are starting to wind down, with my final one taking place tomorrow. I received quite a few waves and smiles while photographing the local scene yesterday, which although simple, really does make a difference to the whole feel you get when undertaking the hobby. 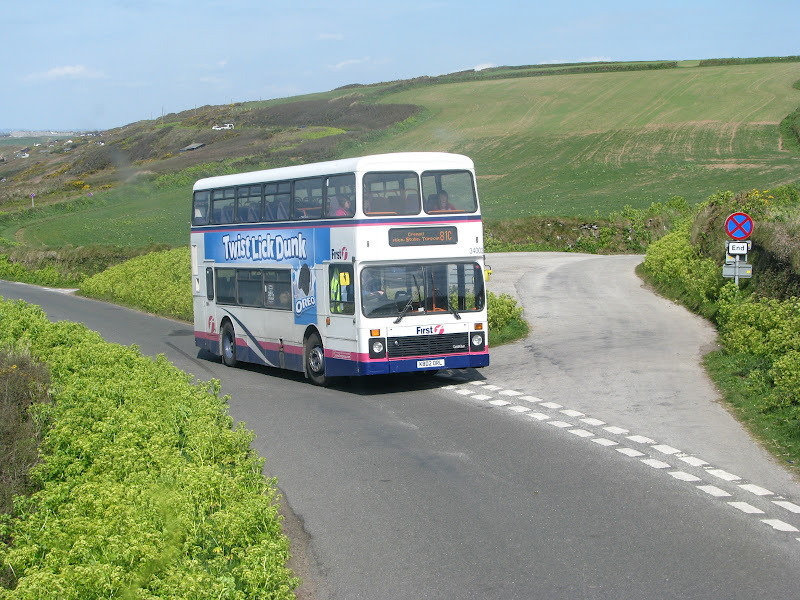 A simple wave can bring a smile to your own face, showing that they do have a good attitude, and are accepting of the hobby, rather than a dry or indeed hostile view undertaken in some areas, another notable location being Halifax, despite as previously mentioned in another blog, the truly exceptional service offered by bus station staff. Something a bit different for this week! 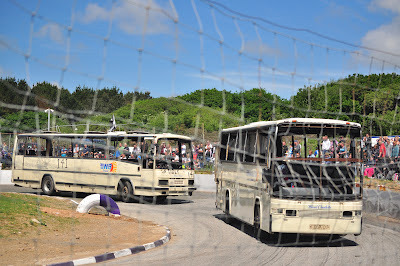 Myself and a few others attended the annual coach racing event at St Day on Monday, with this being my inaugural visit. The event has become infamous in the past for marking the death for quite a number of interesting or rare buses, including various Leylands, AECs etc. 'Luckily' this year, it was just a mix of various bodied B10Ms, as well as a comparatively young LDV Convoy. 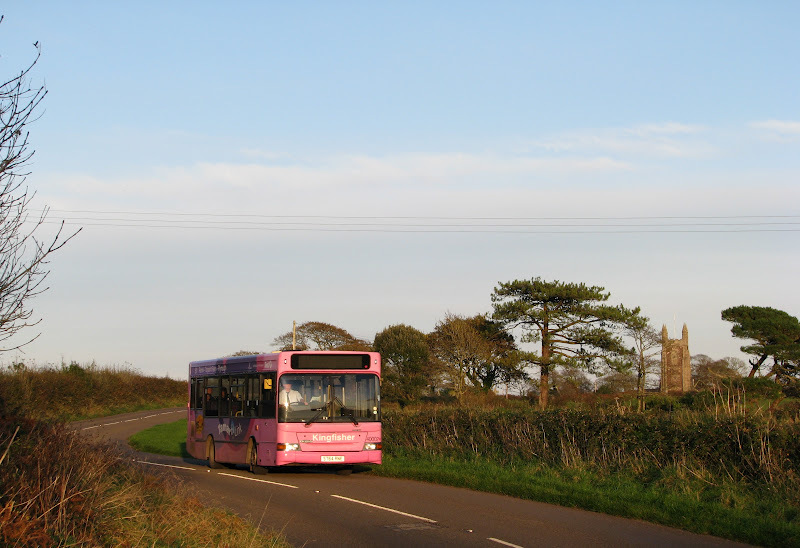 Three of these came from Wheal Briton, and the other B10M from Hopleys. 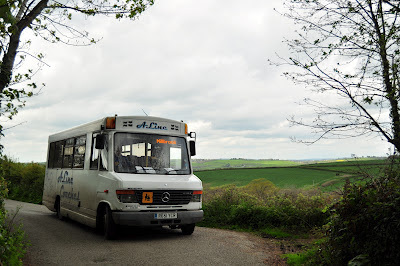 So from front to back we have LDV T51 LCA, B10M LUI 7651, originally B127 PEL, B10M D756 MRL, and B10M HIL 5389 F953 RNV, which actually attended the Westpoint WHOTT rally in 2010 looking resplendent. 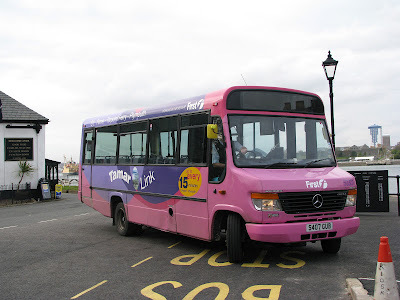 With many thanks to Tom Pearce I am able to bring you these exclusive photos of two of Target Travel's latest additions to their fleet. 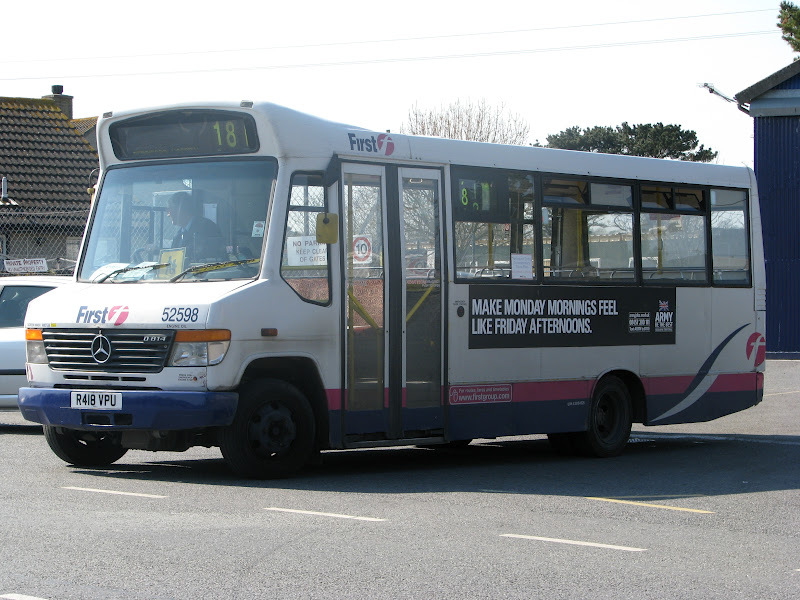 Firstly is an interesting Noge bodied MAN 18.350 which had been in use with Veolia in Wales before they were disbanded. Also from Veolia is Beulas bodied Iveco Eurorider which will join nicely alongside some very similar coaches that Target already own. They are looking slightly scruffy at the moment, largely due to the lengthy period they've been sitting out of use, but I'm sure will tidy up very well, with the MAN becoming the newest coach in the fleet (unless I've forgotten something! ).